There are three sea turtles in the Giant Ocean Tank representing two of the seven species of sea turtle on our blue planet. Here are a few tips that might help you distinguish who’s who around here. 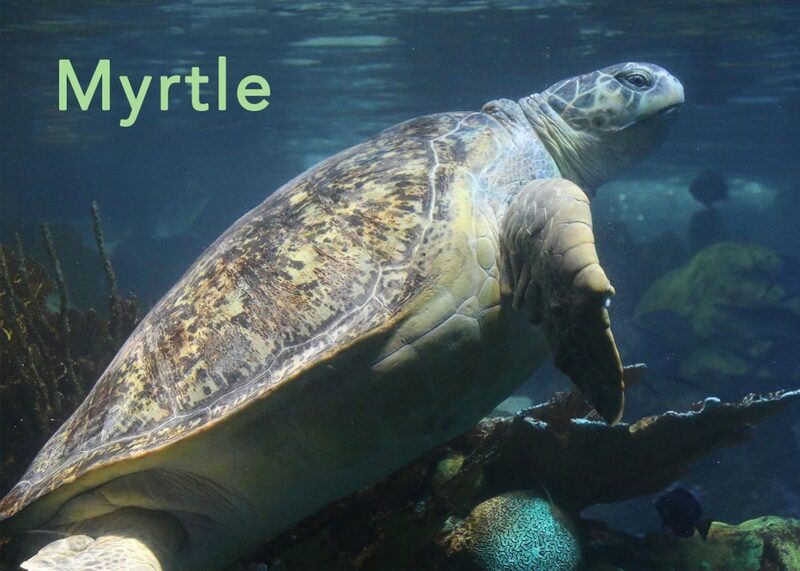 Myrtle is a green sea turtle and the largest in our exhibit by far. We often call her the Queen. She weighs in at about 550 pounds, has a gray/green blotchy shell, and can usually be found napping or feeding near the top of the tank or following the divers around the tank. 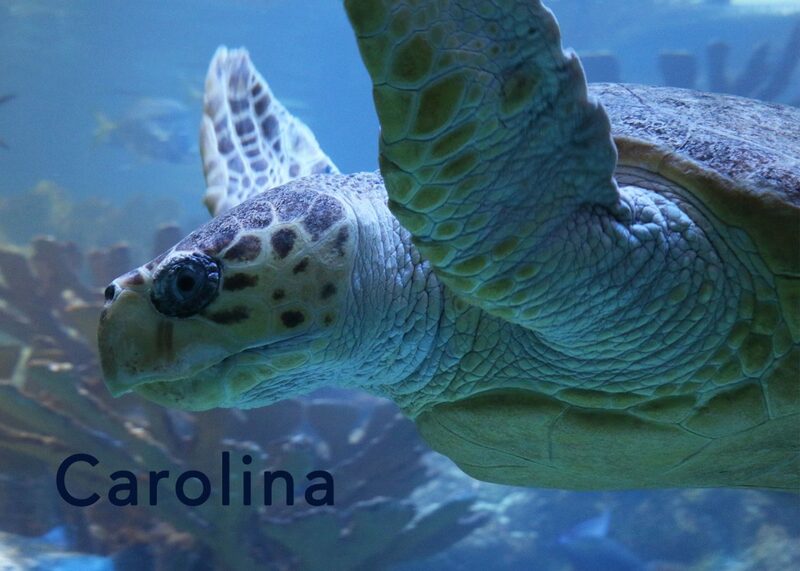 Carolina is a loggerhead sea turtle. She is smaller than Myrtle (try 400 hundred pounds smaller) and her shell is more orange/brown in color. The loggerhead sea turtles have thicker necks and more pointed beaks than Myrtle. 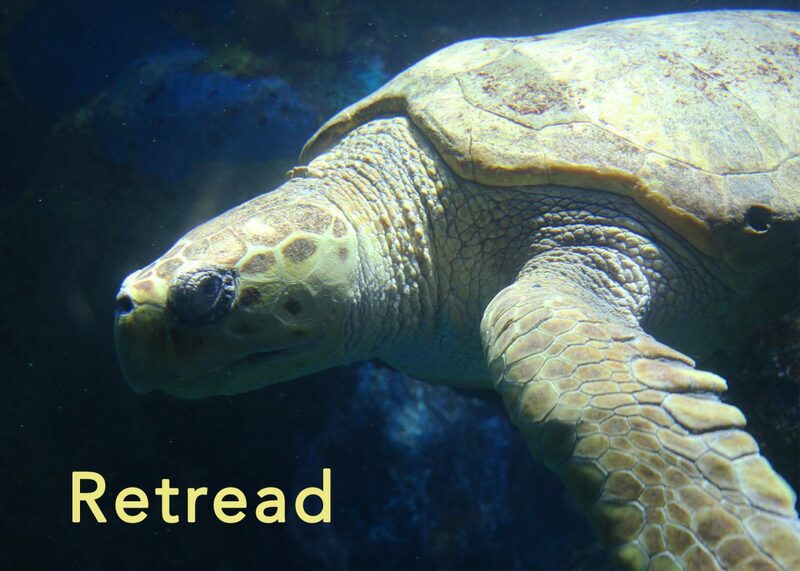 Retread is also a loggerhead sea turtle. You can distinguish her from Carolina by the imperfections on her shell, like the small pock mark behind her left flipper in this picture. Retread is also blind.